Cristiano Ronaldo has signed a new contract extension with Real Madrid, which will keep him at the club till at least 30th June, 2021. 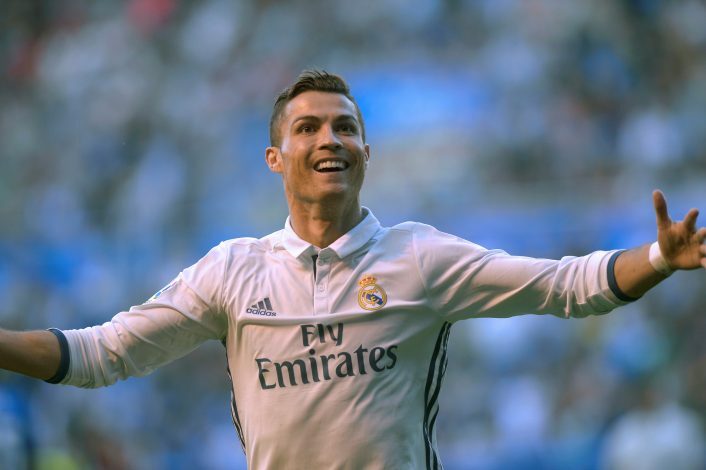 Ronaldo had admitted earlier this year that he was determined to finish his career at the Santiago Bernabeu, and would offer himself a new ten-year contract if he were the president of the club. Ronaldo joins Toni Kroos, Luka Modric, and Gareth Bale in signing new deals with the club. The Portuguese forward joined Real Madrid from Manchester United in 2009 for a then world-record fee around £80 million. During his time with the club, he has won two Ballon D’Ors, two Champions League trophies, a FIFA Club World Cup, a UEFA Super Cup, two Copa Del Rey titles as well as a La Liga medal. He is also the club’s all-time record scorer. Ronaldo has made his worst ever start to a season so far, but Real are determined to keep the player away from the clutches of the 31-year-old’s former club Manchester United, who have repeatedly been linked with a move for the forward. Real Madrid boss Zinedine Zidane admitted that he was delighted to see Ronaldo sign a contract renewal with the club. “I’m happy because he is a player who has to finish his career in Madrid. It is unique,” Zidane said in comments reported by Marca.